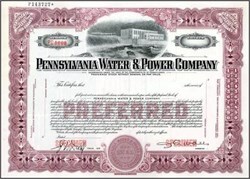 Beautifully engraved specimen from the Pennsylvania Water & Power Company. 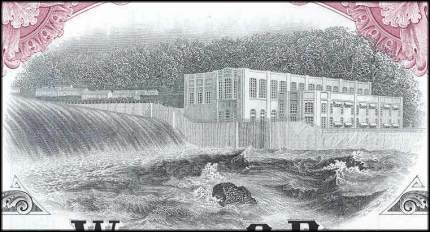 This historic document was printed by the Security Banknote Company and has an ornate border around it with a vignette of a power plant by a water fall. It has the printed signature of John Abbet Walls as Company President.